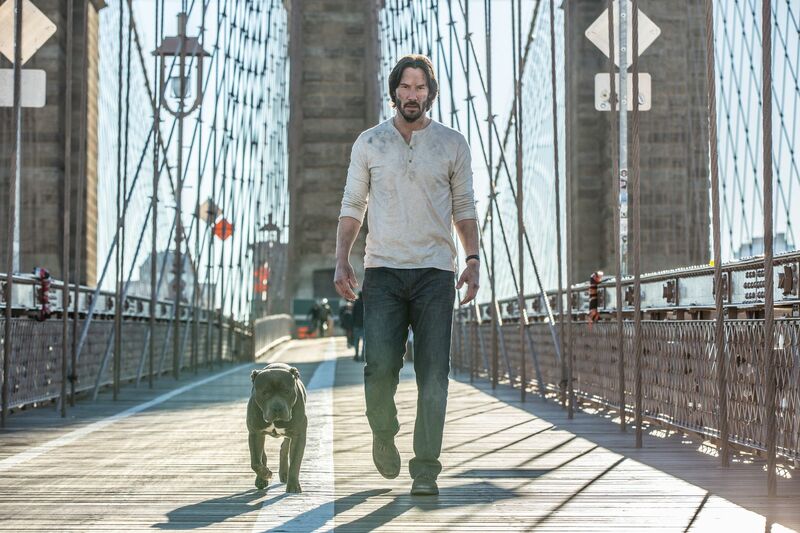 I couldn't find out exactly what the budget was for John Wick: Chapter 2, but it's clearly a chunkier one and it tells. Probably because the cast in this movie is insanely rich, Keanu Reeves having to act against talents like his friend from The Matrix, Lawrence Fishburne, the up and coming Ruby Rose and rapper Common, and also returning the awesome Ian McShane, Lance Reddick and John Leguizamo. With names like that, you've got your success guaranteed. Not only that, but despite going against Fifty Shades Darker, it still managed to gross over 40 million US dollars worldwide and receiving amazing praise. If this huge breakthrough for Stahelski and Kolstad isn't a marvelous rags to riches story, showing Hollywood how real action movies are done, then I don't what is. 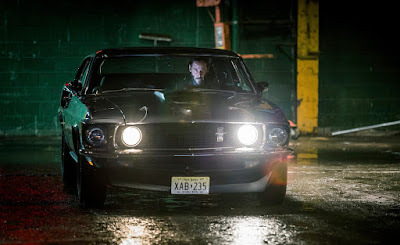 John Wick: Chapter 2 begins some time after the first movie ends, with John Wick trying to find his awesome 1969 Mustang Mach1 Coupe, trashing the beautiful car into a wreck in the process, only to show that the car was half of what he actually needed to get back. But that's just a fairly lenghty action scene to 1) show audience what to look forward in this entire movie, and 2) it's also a clever way to tie the movies together, so even if you didn't see the first movie, you know why the following event occur. 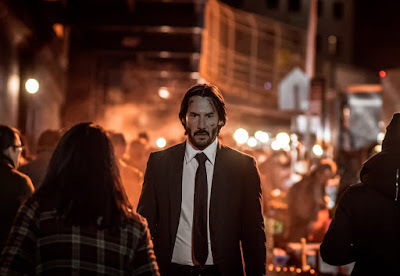 And it doesn't take long for his actions from the first movie to come bite back, even if it's indirect, you can feel the web of this mobster world John Wick lives in and how no action gets done without a reaction, sooner or later. 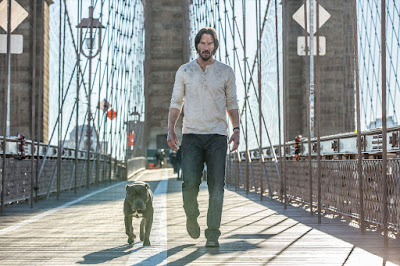 To put it in perspective, while John Wick only tried to come back into the assassination world to avenge the death of his puppy in the first movie, the second movie shows that his coming back stirred the pot and made at least one Italian mafioso think he has returned only to be disappointed by John's answer. It all gets very complicated from here. 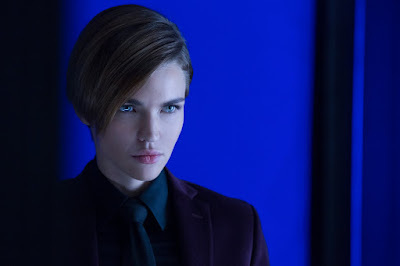 First of all, the Italian has a marker, a sort of amulet that puts John Wick into his debt, like an IOU card, you do something for me, I do something for you. Indeed, John is the prick here, since he refuses to pay his debt, but the debt was too much to begin with. So, after burning down Wick's house, John has no other choice but take the contract, but the contract is also a breach of one of the two big rules this society of respectable murderers must live by if they want to live. The problem comes soon after he accomplishes the contract, when the Italian guy wants to tie all loose ends and puts a contract on John's head, breaking all hell loose too. What makes John Wick tick? For me it's the unique visual style, but the praised action scenes, the fighting choreography and the believable characters all come together to make one of the most well designed action movies of this decade, I dare say that. 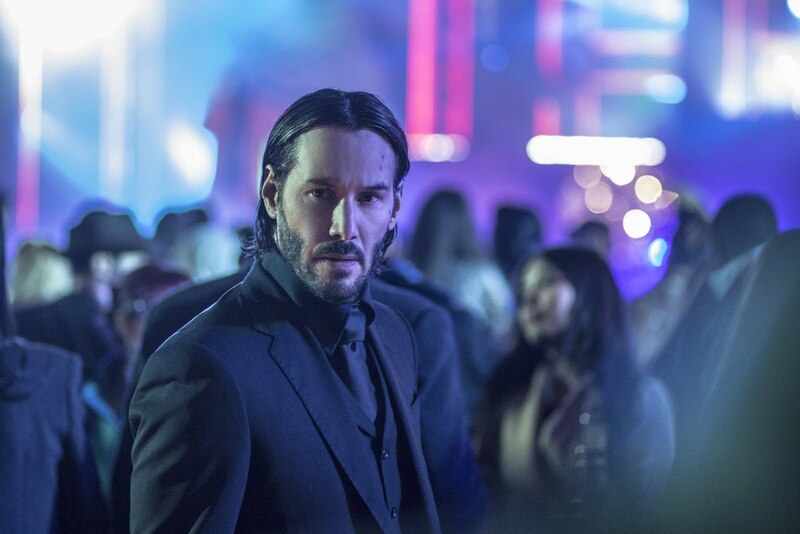 The makers self-proclaimed John Wick as neo-noir thriller and I wholeheartedly agree, even though it's a stretch, the formula, the visuals and storytelling, they're all there. However, John Wick 2 somewhat departs from that type of genre to a more refined action flick with comic book-ish elements. I mean it in a good way. It still has that stylistic 80's edge, with amazing sound and music too. Either suits John Wick as a character, but also as a world full of gangsters and hired guns. 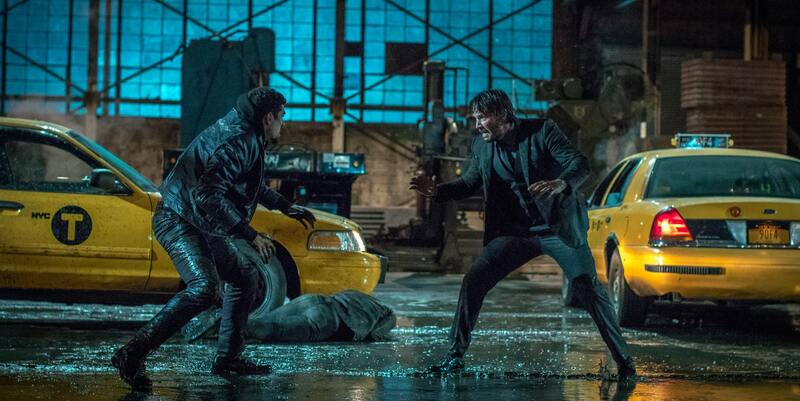 John Wick is a human after all, he bleeds, he's panting after a tiresome fight, he gets into situations he probably can't escape, but he wins because he's focused, even if he gets carried away, and boy does he get carried away! 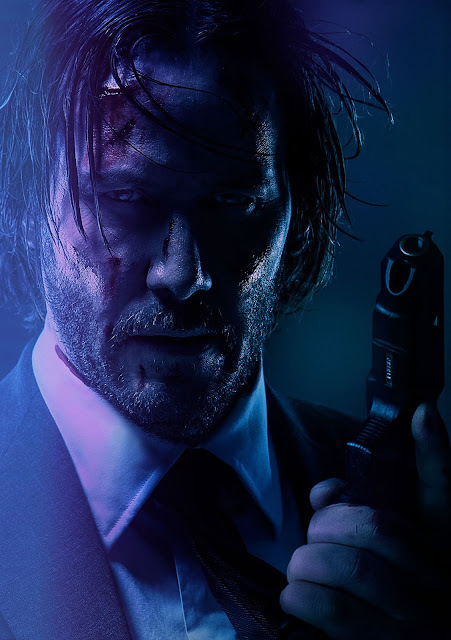 John Wick reminds me very much of the first Taken movie, although very stylish in comparison, with a very badass main protagonist, but also with much to lose, making us care about him, not want him to die. While I do deem the second movie to be a lot more improved technically over the original, I still consider the original to be the definitive standard of neo-noir thrillers of the 2010's, maybe followed closely by The Guest. Don't worry, it's subjective. But as I said, technically, John Wick: Chapter 2 is much better, bigger, bolder, and the chains of events that's left behind in this movie can only lead to an amazing folow up of apocalyptic proportions. One can only hope. I saw this movie just the day before as a preview at Cinema 3D Craiova theater – Inspire Cinema – and I have to say I don't go there as often as I wish I could. They have great seats and screens and I had a much better time than I had watching Xander Cage returning. No matter how needless, I also have to say that this is a crazy violent movie and I've seen a lot of children in the room and grown up covering their eyes and flinching. I flinched a few times too, I have to admit. So be mindful of the rating in your region and have lots of fun!